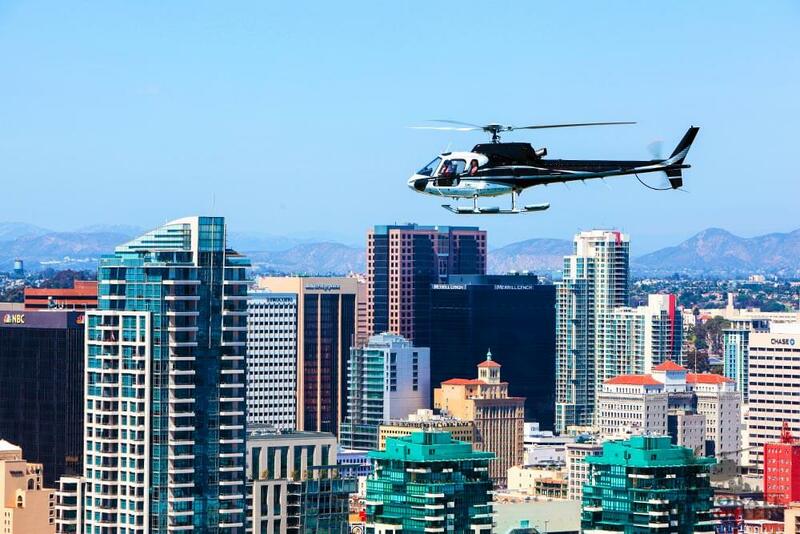 An exhilarating helicopter tour of San Diego. 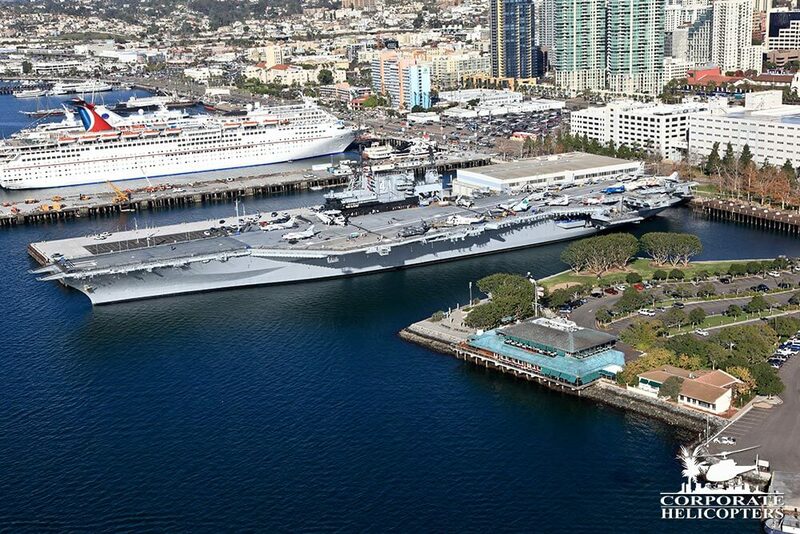 This tour covers the La Jolla Cove, Sea World, Downtown, USS Midway & the Coronado Bridge. 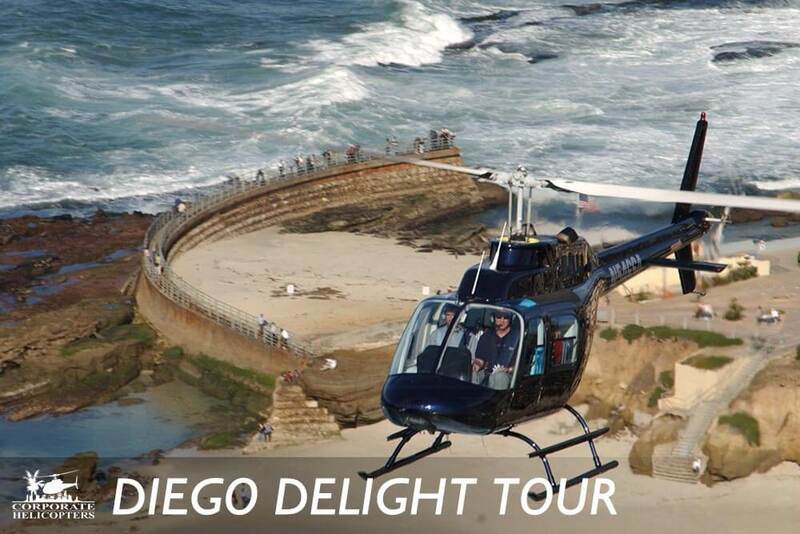 One of our main three tours, the Diego Delight provides a true aerial experience of San Diego’s key features. 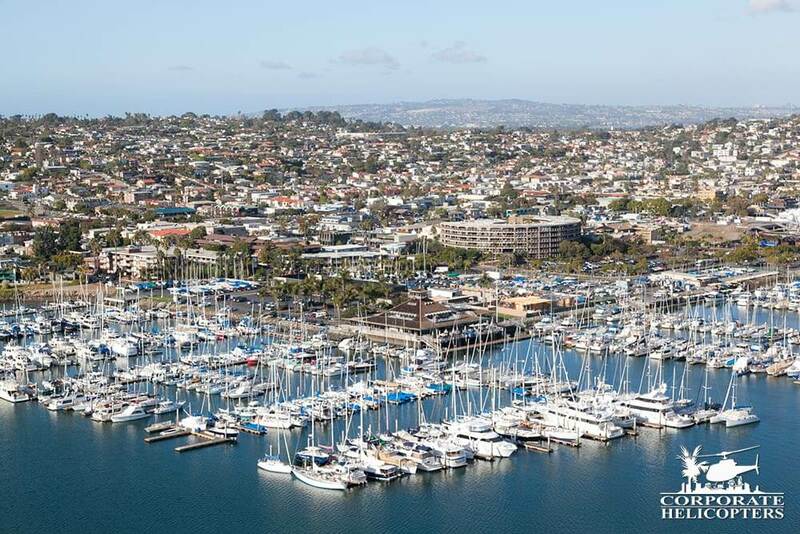 You’ll see La Jolla Cove, Mission Bay, Sea World, San Diego Bay, Downtown San Diego, Petco Park and more! 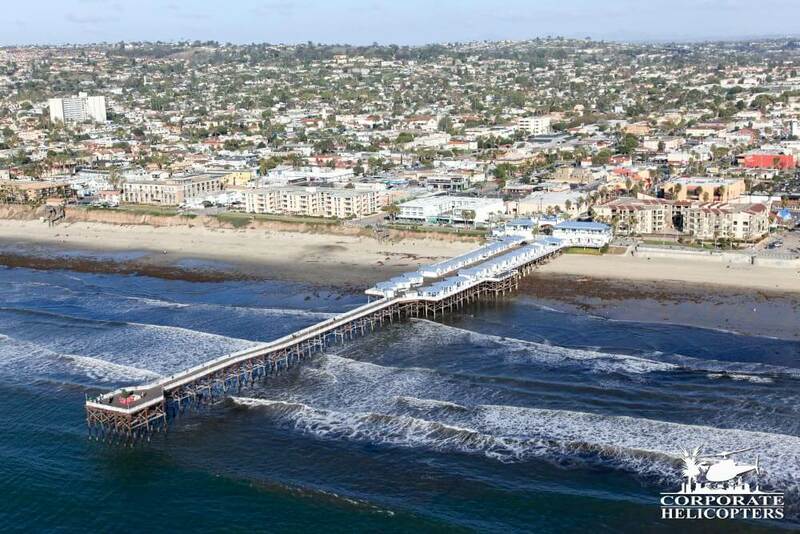 Skim along the beaches and enjoy a gull’s eye view of dolphins and people at play in the surf. 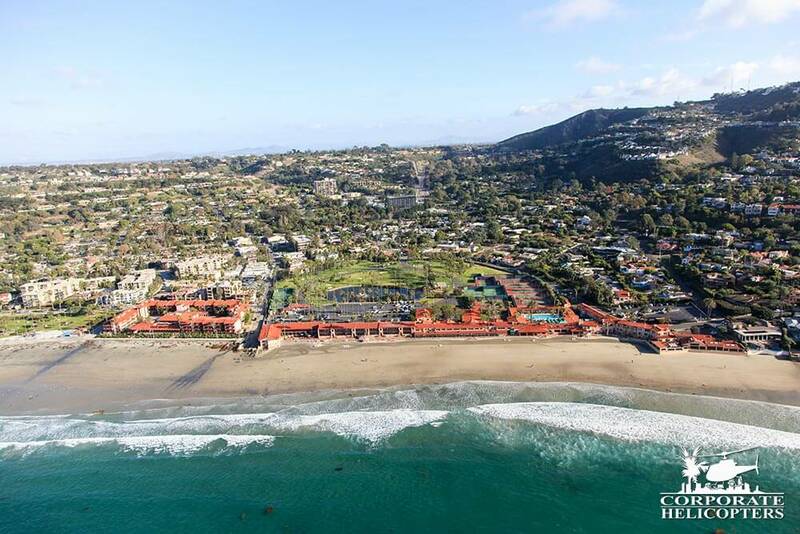 You will view the attractions of Sunset Cliffs, La Jolla Cove, Mission Bay, Sea World, and Belmont Park. 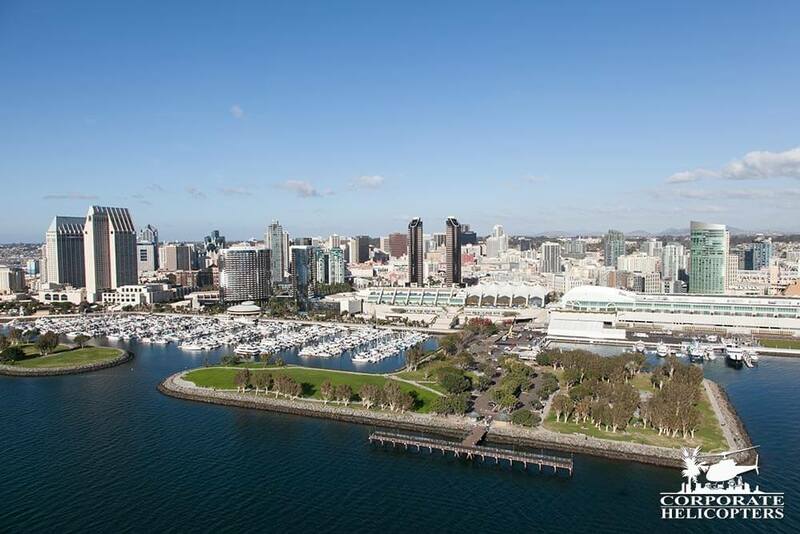 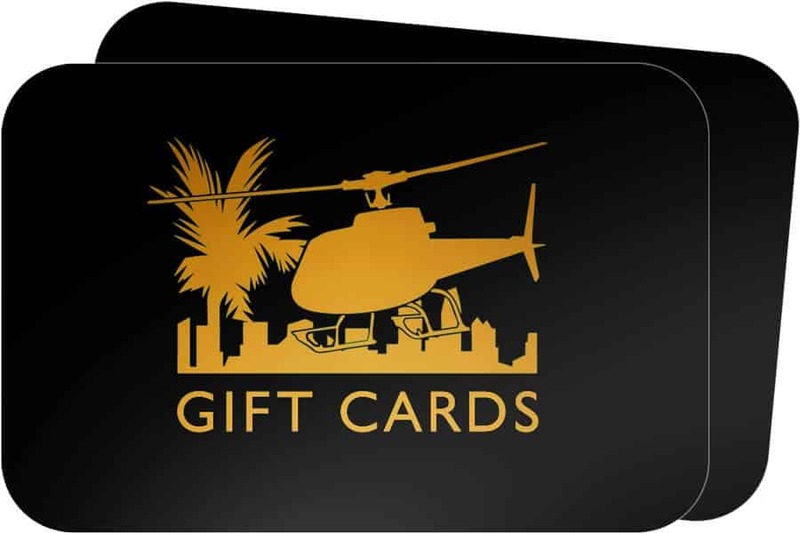 Descend past the architectural beauty of the San Diego skyline, sailboats on San Diego Bay, USS Midway Aircraft Carrier, Petco Park home of the San Diego Padres and the Coronado Bridge. 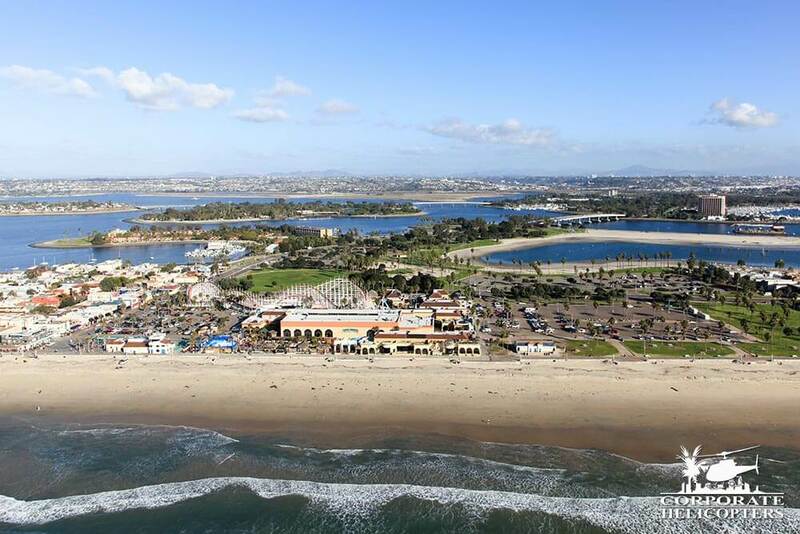 Behold an aerial view of the world famous San Diego Zoo, Balboa Park and Qualcomm Stadium. 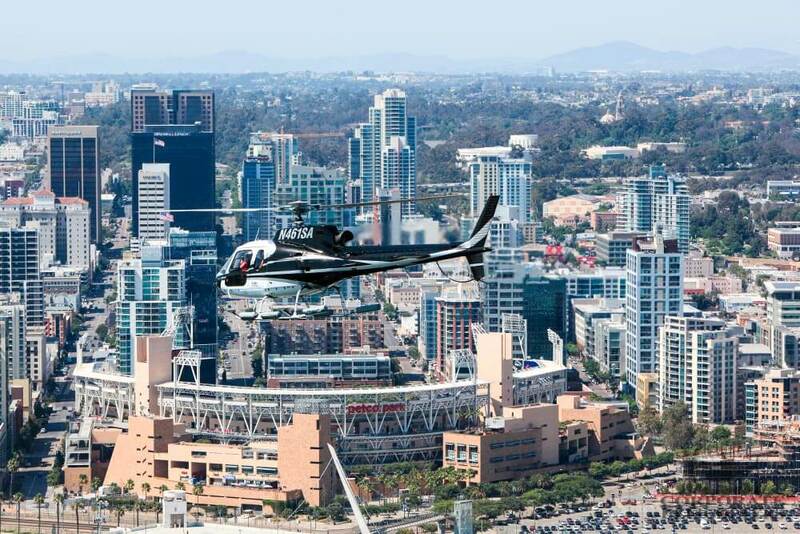 Tour features include La Jolla Cove, Mission Bay, Sea World, San Diego Bay, Downtown San Diego, Petco Park and more! 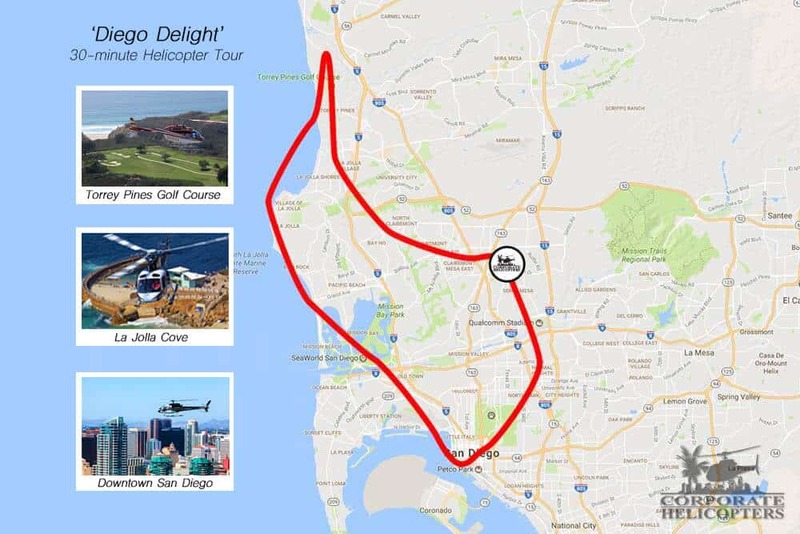 See a map of the tour route or compare tour routes. 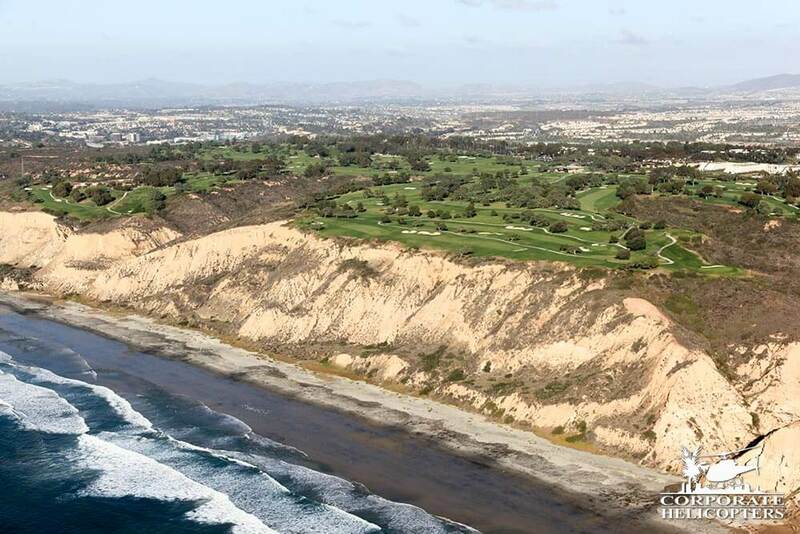 Click the map to enlarge. 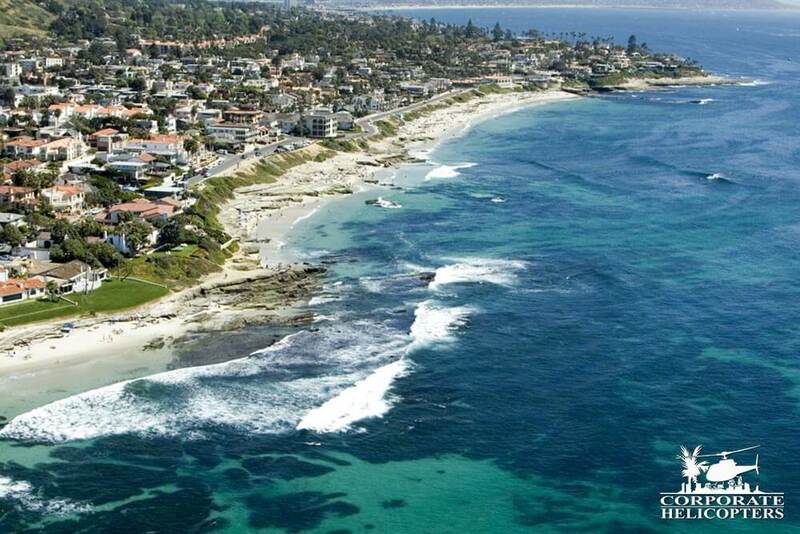 You can also compare tour routes.